Taking to Twitter, Gunplay drops off the cover art for his upcoming mixtape. With being on lockdown on house arrest, Gunplay has been able to focus on music and readies his first project since being confined to his home with his Cops N’ Robbers mixtape. Now the MMG rapper takes to Twitter to drop off the cover art. After previously releasing tracks that will be featured on the tape like “No Church” and “She Get It”, the Floridian native gears up to drop the project on January 18th. 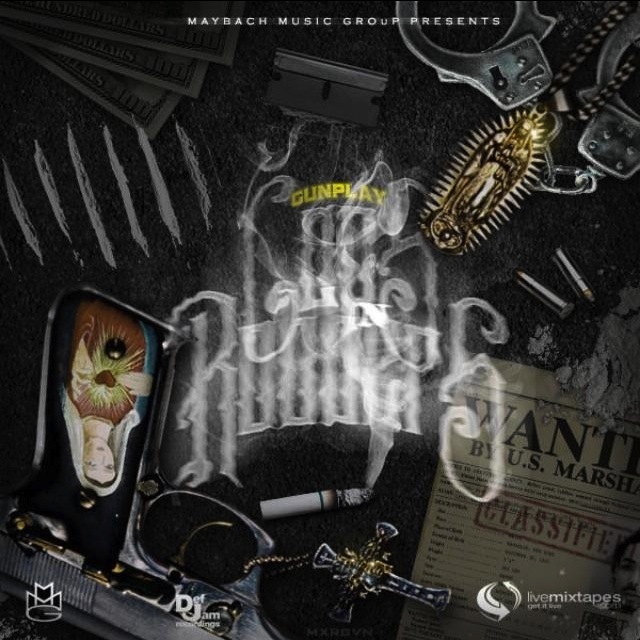 This will serve as a warm up to his upcoming studio album Medellin, which Gunplay hopes to drop sometime this spring. Check out the tweet, and full size pic of the cover art below.